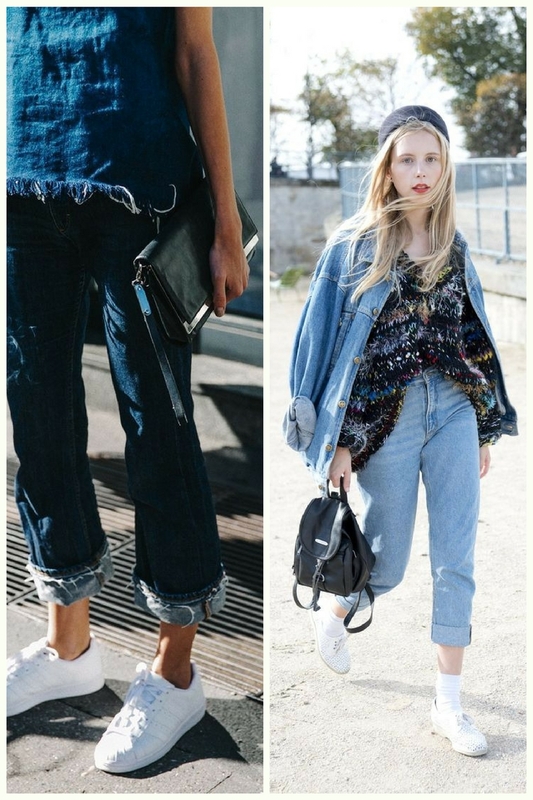 Today I want to show you my personal favorite ways how to wear Canadian Tuxedo look or so-called double denim trend. Some of the showcased images look quite 1970’s inspired, but very inspiring and sophisticated. Sure, you all can recall the iconic picture of Britney Spears with Justin Timberlake, where they appear in cool denim on denim ensembles, but we are here to talk about modern ways how to make double denim look great. Keep it simple with a pair of cuffed dark blue jeans and frayed denim tank top complemented with a pair of crispy white sneakers. 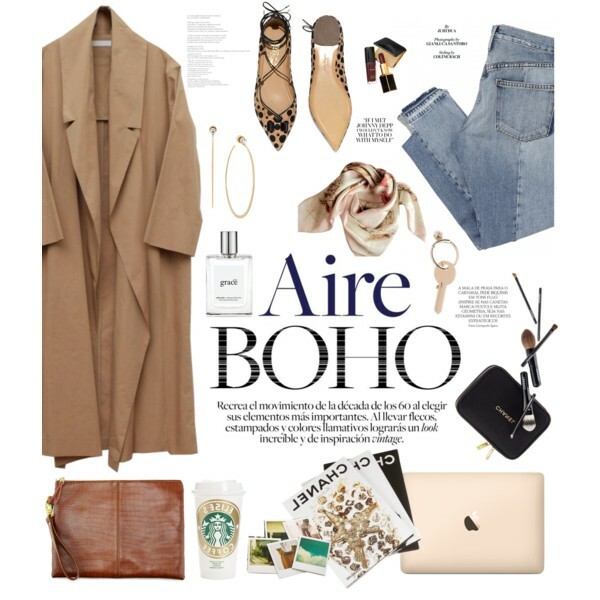 If you are more into an urban look, then you definitely should give a try to oversized denim jacket that can be draped over silken printed blouse half-tucked in cuffed mom jeans completed with white flat shoes. 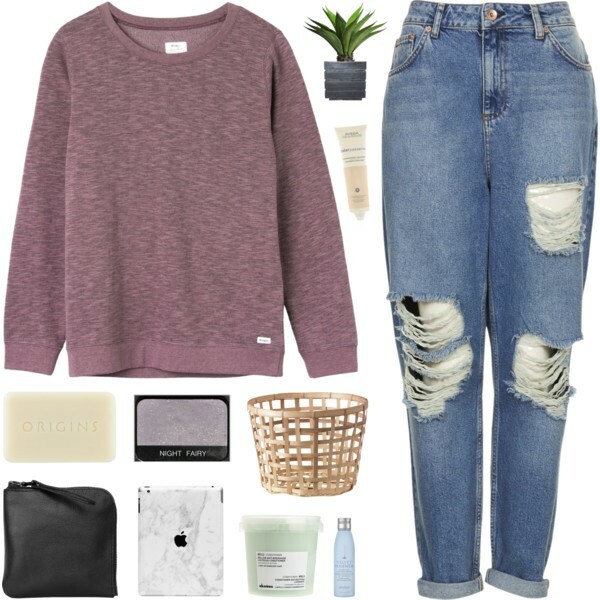 In this article, I will show you simple outfit ideas you can create with boyfriend jeans and sweater. Thanks to modern fashion brands we can create fabulous looks combining these two clothing pieces together. If you don’t want to wear girlish outfits, then you should take a look at these 26 ways how to wear boyfriend jeans and sweater. 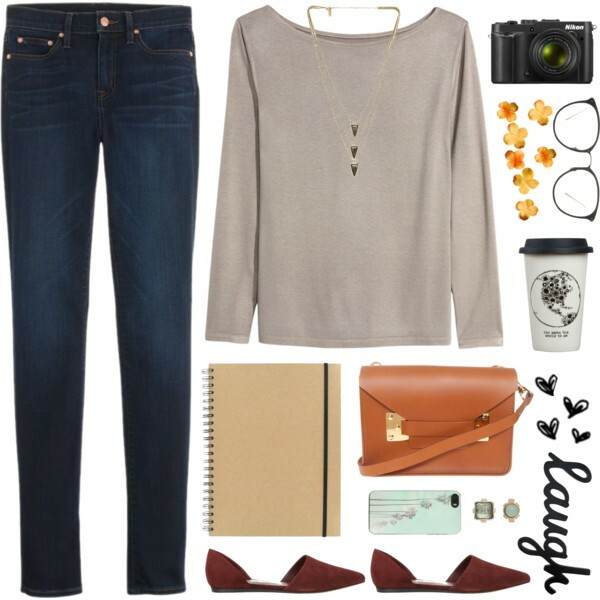 You see a classic pair of jeans worn with ribbed knit cream-blush sweater. Add cream-pink slip-on shoes to be ready to walk miles in this look. I decided to show you my favorite 27 ways how to wear skinny jeans with ankle boots. There is nothing hard in making them work together, you will need to find your favorite style and make sure everything fits you just right. In this article, I gathered simple and easy to wear outfit ideas for Summer and Winter months. Take a look at these looks and choose your favorites. The black ones look pretty chic with a brown suede shirt and fringed black suede booties. If you are one of those ladies who want to wear comfortable outfit during Summer, then you definitely need a casual Summer look. It’s no wonder why casual style clothing is so popular nowadays, as the main principle of such look is the comfort, beauty, and convenience. The everyday outfit can look different, but the common thing is to the comfort. There are no strict rules and restrictions, that’s why you are free to choose whatever you like and mix in different ways. I personally like to see women who add bright details and special accents. You are free to buy fast fashion clothes and mix them with ready to wear branded items. Oh, the only thing is to forget about adding glamorous sequins, shiny embroidery, rhinestones and voluminous ruffles. Gray tee looks simple, but I am 100% sure it feels comfortable with blue denim shorts. Complete this combination with a black and white striped clutch and light orange espadrille shoes.